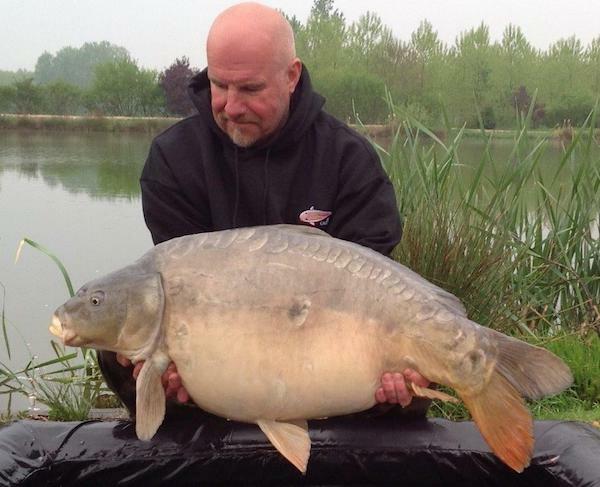 Occupation : Co-Owner and Events Organiser at British Carp Cups and Self Employed plumbing and heating engineer. Favourite Venues : Kingsbury Pine Pool. Branston Water Park. Old Mill Lakes and Airfield Lakes to name but a few. Favourite Methods : Find ’em’ and catch ’em’. Freelining up close and personal. Favourite Bait: Nut based. Can’t wait to try the new prototype. Have been catching on the Iconic Frankfurter. Started fishing on the River Trent, where I learnt long trotting and the local Grantham Canal as a boy, too many years ago to remember. Fell in love with Tench and can’t describe the feeling I got when the float slid away at first light on a summers morning. In those days we had to wait until the magical 16th June to start fishing. I had caught carp whilst general course fishing but it was when I read articles by the late great Richard Walker that the bug bit, and I have certainly got it now. My wife says we eat, sleep and breath carp fishing but that could be something to do with the events we run. I enjoy trips to France, usually in the Autumn after our finals have taken place. Although carp fishing is my main pursuit I still enjoy fishing for other species. I caught my first Sturgeon last year and was over the moon with it. I still feel that same buzz that I did as a boy.